With all the marches yesterday, dare we say that some good came from it? Here we see at least a few students actually doing some real homework…for a CHANGE. March 14, 2018 – 5:30 PM – 7:30 PM– Hosted by Coalition Z – Quaker School, NYC. 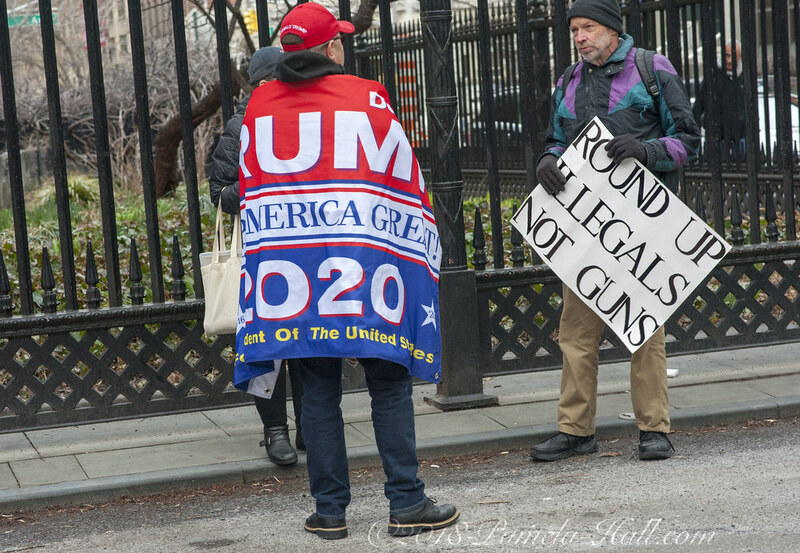 The No Guns Student Strike March vs patriots. 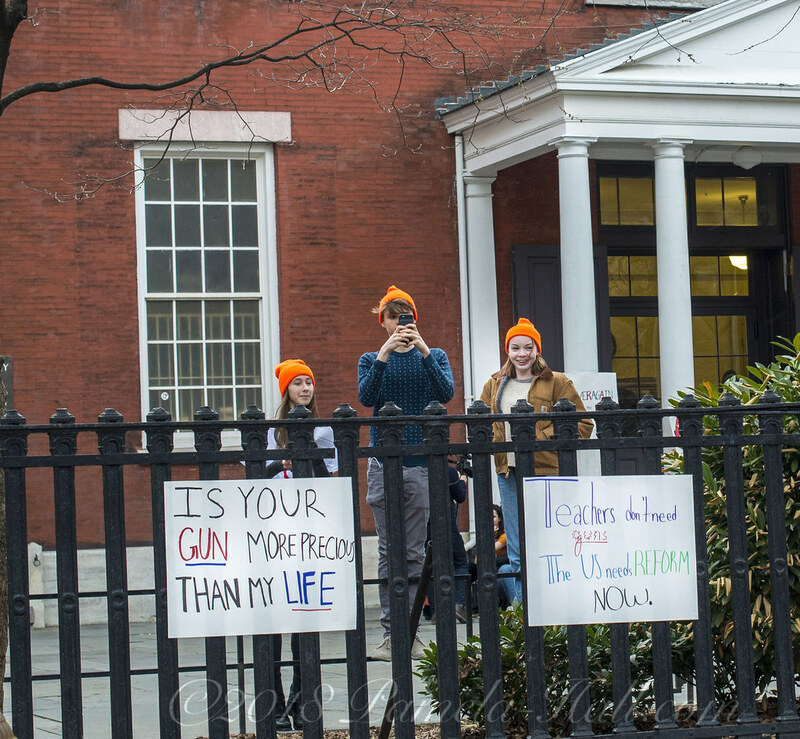 The students gathered to discuss a controversial topic: the pros and cons of the Second Amendment, with a one-sided view planned inside, while a lively debate was ON outside the Quaker School. 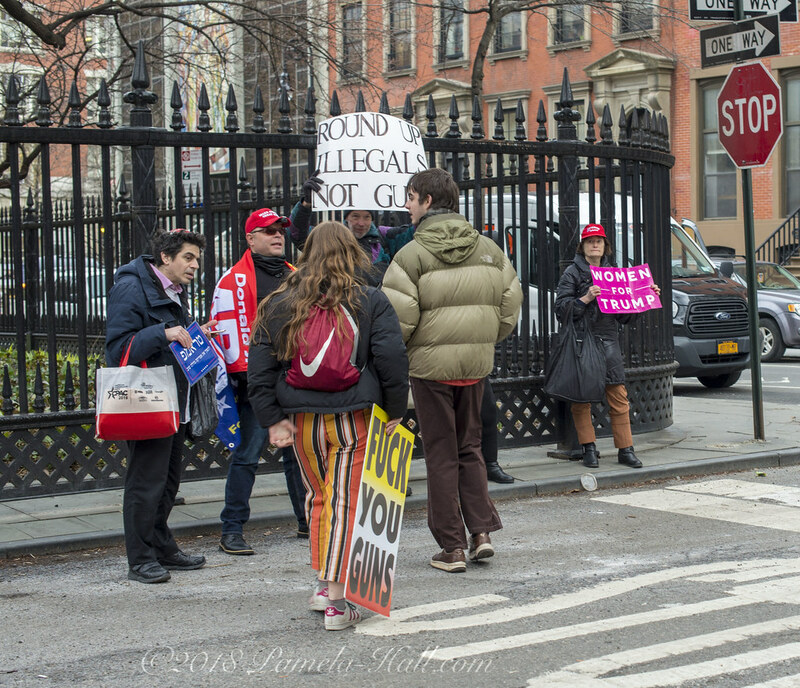 There were many student signs attached to the fence that surrounded the Quaker School. Signs that were countered when when the patriots arrived. Signs that seemed to arouse the students’ curiosity. Causing a few to peek over the fence….dare they do more? Eventually a few of those students calmly (and respectfully) crossed the street to interview the patriots. The calm before a storm, perhaps, but still a relief from the usual Socialist Left invective. 2. Marie DeLus, a Moms Demand Action activist and former Marine sharpshooter who lost her nephew to gun violence. 4. Stoneman Douglas student activists survivors of Parkland shooting (via video message). Seemed that Eric preferred to continue this exchange. He was confidently more interested in what was happening outside the school. 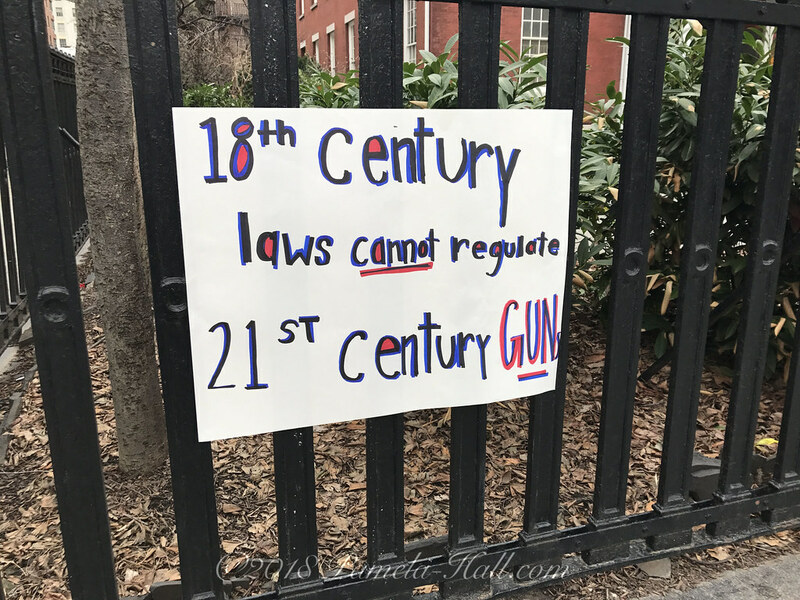 Part 2 – Earlier another group of students also chatted with the patriots, asking questions, talking and listening to their responses regarding the Second Amendment. Part 1 – The patriots took a position across from the historic Quaker School (built in 1860) as the students arrived. They were often visibly shocked to see signs supporting our President. One young man interviewed a patriot on why he supports the Second Amendment. “The coordinated walkouts were loosely organized by Empower, the youth wing of the Women’s March, which brought thousands to Washington, D.C., last year. 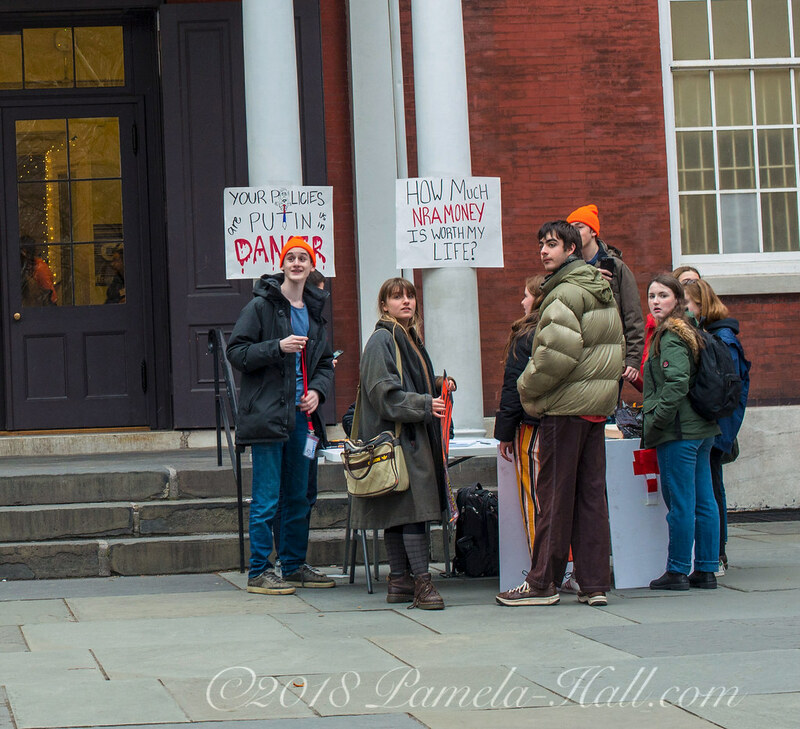 “More than a hundred local students, parents, activists, and curious reporters gathered at a Quaker meeting house on Wednesday for what students had billed as an evening of action. “Organizing Resistance to Internet Censorship” at NYU, Wednesday, March 28, 7:30 pm. “The World Socialist Web Site, Socialist Equality Party, and International Youth and Students for Social Equalityare organizing public meetings throughout the United States to alert workers and youth to the far-advanced efforts to control and censor the Internet. The US government, in the closest collaboration with Google, Facebook, Twitter and other powerful information technology corporations, is implementing massive restrictions on Internet access to socialist, antiwar and progressive websites. 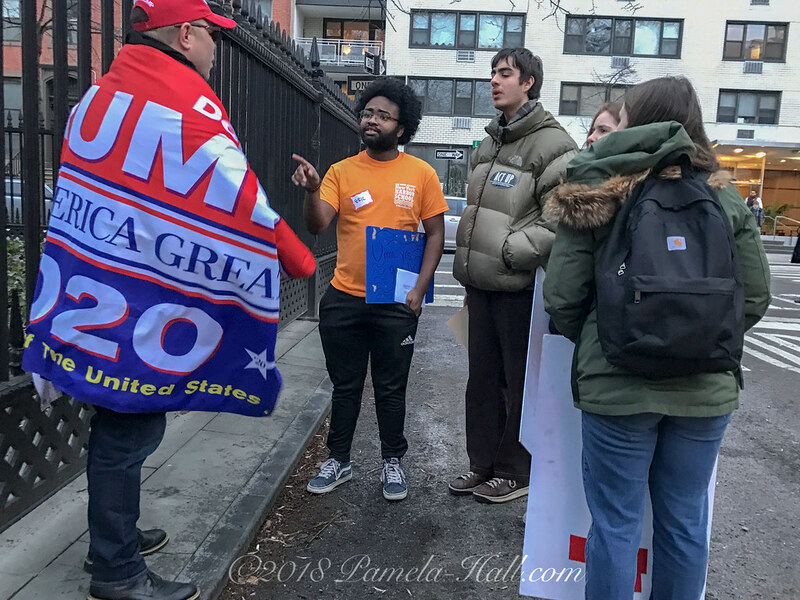 This type of heavy Socialist indoctrination is what our schools offer as the only road to a free society, which made this group of students willingness to talk, to even ask questions, so unusual.